Have you fallen in love with a vintage piece of furniture at a local store? Want to send a family heirloom to a loved one who lives outside of the area? No matter the reason, the need to send just a single piece of furniture or even an entire set exists but getting it to its destination can be a hurdle…that is if you don’t call your shipping experts at Pak Mail Beachside. We understand the importance of having that perfect item in your home and we know how to get it to where it needs to go. To make it even easier, Pak Mail Beachside provides free pick-ups at the place where the furniture is to ensure it’s safe travels to its ultimate destination. 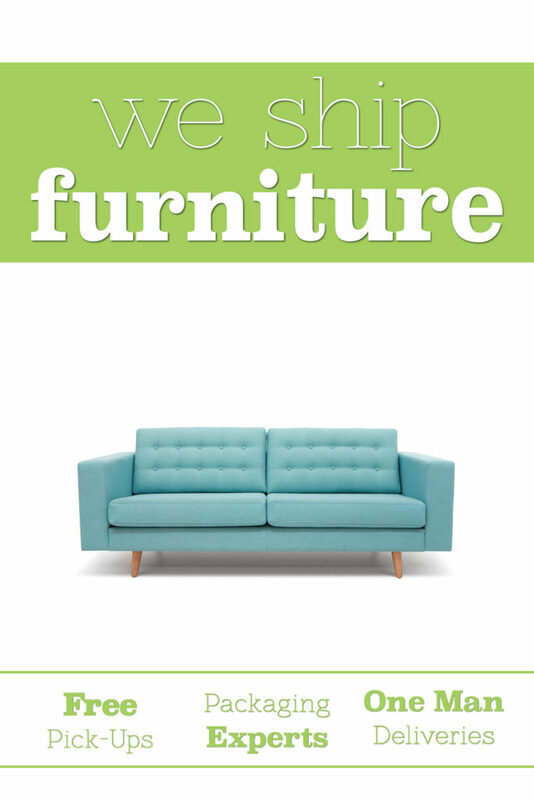 Always happy to help ship furniture and provide free pick up. This entry was posted on Monday, February 4th, 2019 at 5:24 pm and is filed under Shipping. You can follow any responses to this entry through the RSS 2.0 feed.